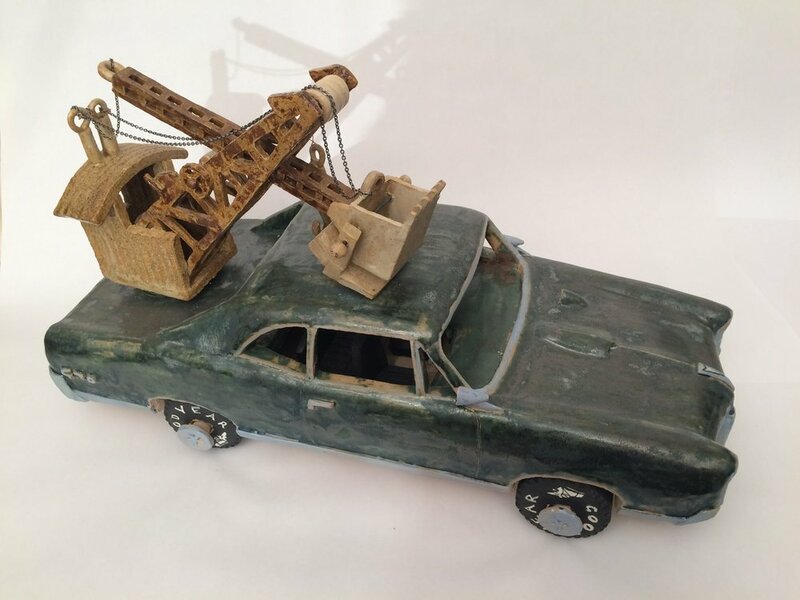 These cars were rolling sculptures that abused fossil fuel. Flying down the freeways in the 1960s with the biggest tail fins ever made, they looked especially good in Beverly Hills or West Palm Beach. By the 1980s they could be found abandoned in weedy lots, trees growing through them. 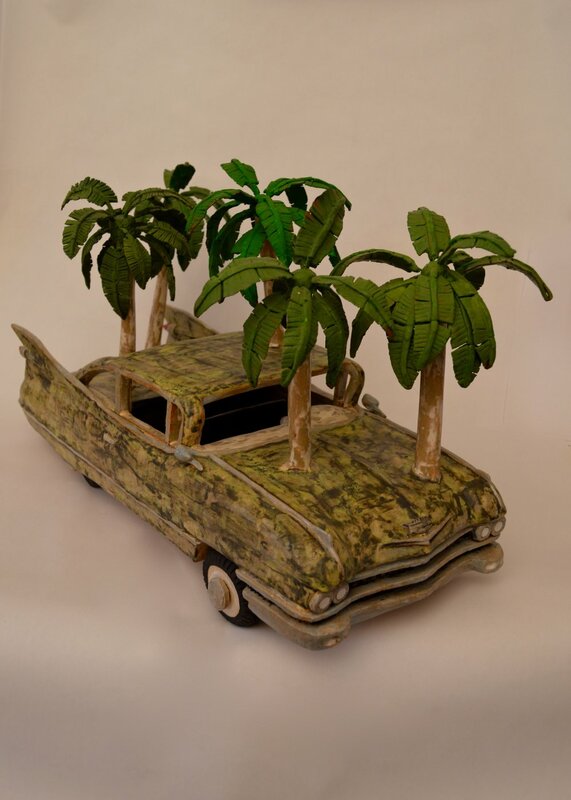 This Caddy rolls on its wheels has palm fronds that detach. 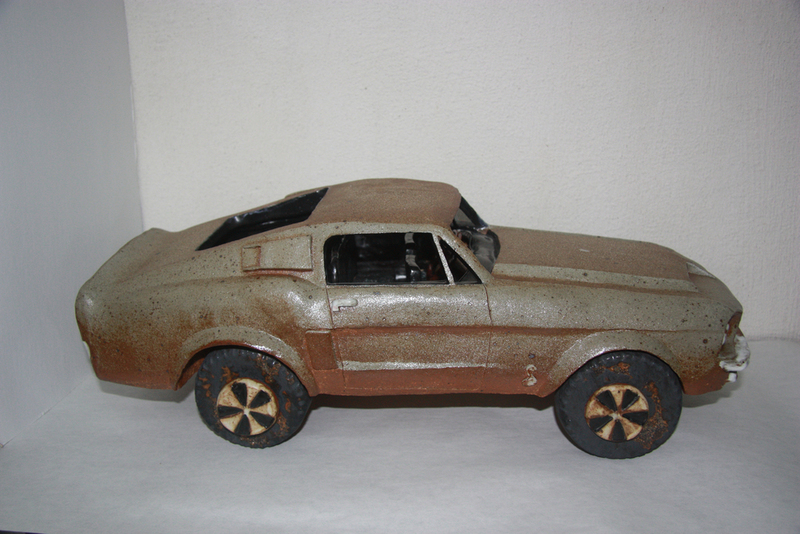 The body paint (glaze) shows some ware of neglect. When oil runs out and all thats left of carbon deposits is coal, your car will need a steam shovel to obtain that filthy fossil fuel that you crave. So why not have a gas guzzling '67 GTO. They were beautiful, looked like they were going a hundred miles an hour while standing still. Imagine the great Gatsby, a 1% club member fleeing with all his earthly possessions’ from the dust bowl in Oklahoma circa 1932. Do you think he might bother to tie down the furniture?I think not, would his girlfriend, a Degas ballerina ride on top? I think so. 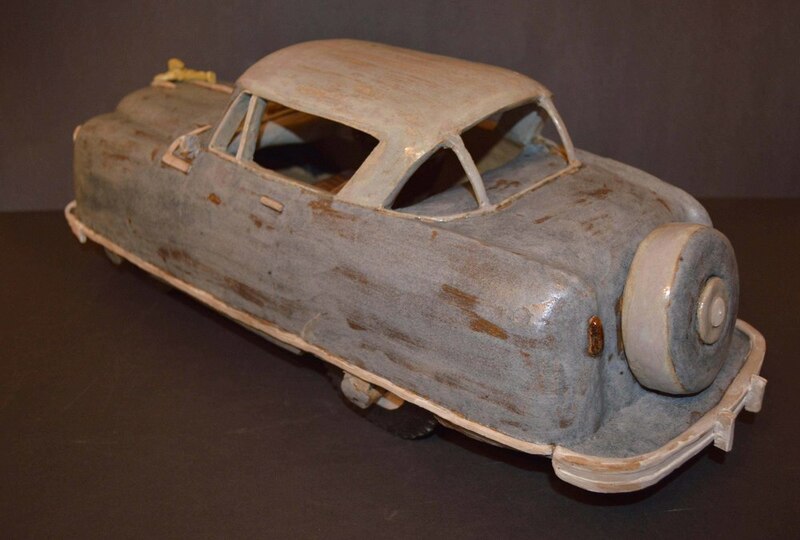 This car was made in 2014 at Greenwich House from stone ware. It was fired at Art School at Old Church in New Jersey to cone 6. It took 9 months to complete. Back doors and side doors are hinged and it owns two surfboards. Peters Perfume truck. A truck that emits perfume rather than carbon monoxide. Would that not be a fine idea? 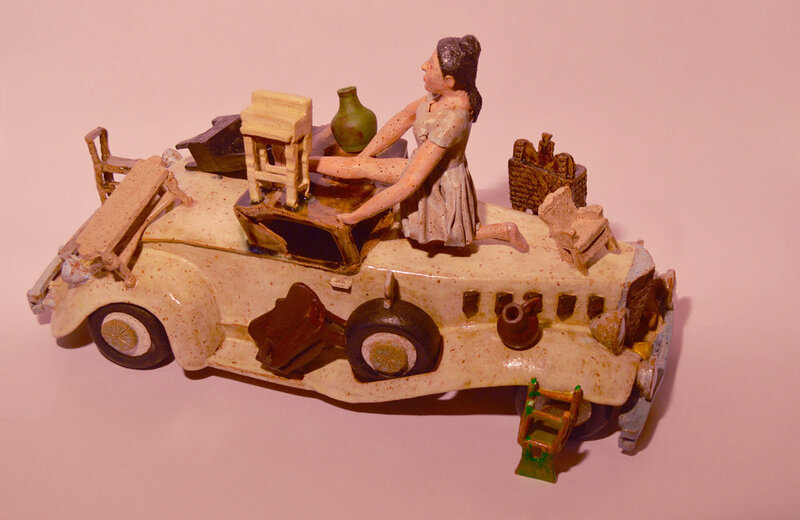 These mini cars are made from paper templates applied to slabs of clay.